He was father, uncle and friend. He was Bozie, Bo and to his childhood friends Tressie! He was love, loyalty and coolness. He kept us informed of all the community happenings, laughing at his colorful conversation, smiling because of his sincerity, and as he would say "well you know everything like that". 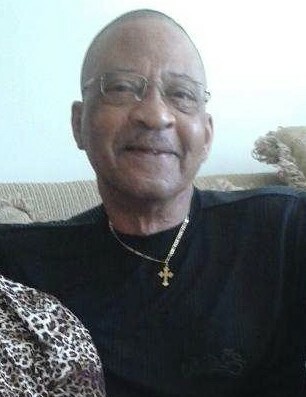 Robert Lewis Harris, 75, was born November 21, 1942, in South Bend, Indiana to Robert and Tressie Harris. He was the youngest brother to siblings Henry, Dorothy, Marion, Lillie, each preceding him in life's transition and survived by older sister "Chatty" Hattie of Stone Mountain, Georgia. where he was characterized as a "die hard Trustee" committed to Jesus Christ, serving on the Trustee Board, and ministering to members of the church and community as usher and friend. He was a dedicated employee of Notre Dame until his retirement. He continued an active life spending quality time with family and joining the YMCA organization, where he worked part-time, building friendships with incredible individuals at the Y. He leaves to cherish his loving memories, daughter Carissa Bradford (Ida Woodard) of Hopkins, Kentucky. To the union of Nancy Shelton, daughters Adrienne Wallace (Ronald), who preceded him in death, Jennifer Hawkins (Kent), Sonia Nimrod (Derwin), Carmen Holmes (Danny), granddaughter Natasha Harris of Kansas City, Missouri, children Whitney & Timothy Hogan (Ruby Walker) of South Bend, Indiana, and Terry Moore (Dennis) of Covington, Georgia. His children Eric Walker and Stacy Walker preceded him in death. He will be forever missed by his lifelong friend Rev. Dr. Michael Rouse Sr. (Alice) and family, especially his god-son Michael Rouse, II. Dear to his heart, are 16 grandchildren and 20 great grandchildren who will always cherish memories with their "Pop", "G-Daddy'', "Grandpa", "Grandpa Bo" as he was fondly addressed, along with a host of loving nieces, nephews, and friends. Robert transitioned to resting in the Lord, November 4, 2018, he was surrounded by family and friends. Services will be held at Grace AME Zion Church at 12:00 p.m., on Monday, November 12, 2018 with viewing from 11:00 a.m., to noon at Grace AME Zion Church.